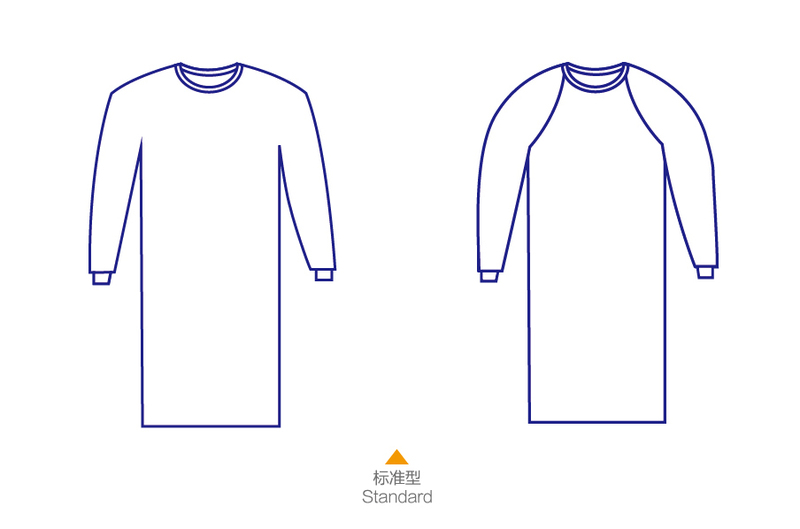 S.E.S manufactures a special range of surgical gown made of SFS materials, the gowns sre used special for long procedures with lots of fluid and blood. With construction of Spunbond-Breathable film-Spunbond lamination, the gowns offer very high-level barrier performance as well as breathable characteristics. Gown sleeves features heat-sealing or ultrasonic-welding seams to ensure preventing strike through during operations.These special gowns can match AAMILevel 4 and High Performance EN13795.